The Webit.Festival in Sofia, Bulgaria brings together leaders, innovators and producers in technology, marketing and media to discuss big ideas and best practices. It is a truly international event, with 5,000 participants from over 60 countries. DW’s Managing Director of Distribution, Marketing and Technology Guido Baumhauer appeared at Webit for a panel discussion, The Future of Media. 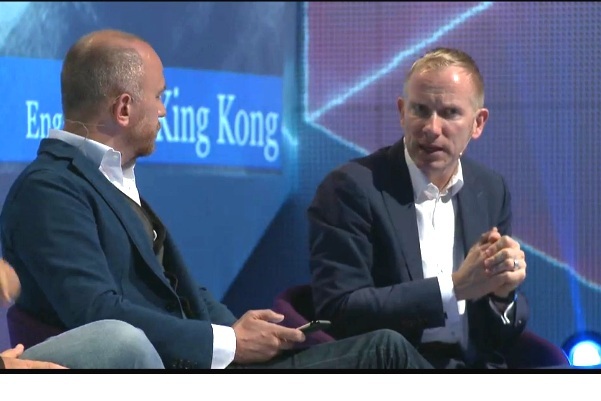 Joined on stage by Didier Stoessel, CEO of NovaTV Bulgaria and Mattias Hjelmstedt, Founder of MagineTV, Baumhauer spoke about the importance and challenge of engaging audiences with content that is relevant to them. Baumhauer emphasized that actively reaching people is key to success. For example, by working with partners on coproductions, DW can produce content with regional relevance and succeed with programming tailored for different markets around the world. After the event Baumhauer went more into detail about the future of media in an interview with Bulevard.bg, a Bulgarian media website.